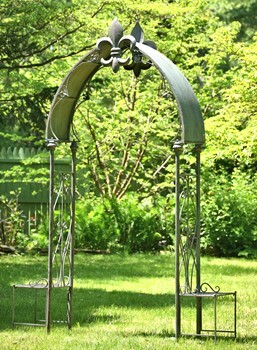 Our Fleur-de-lis Arch with Plant Stand is a beautiful piece. Create your own little French oasis for your special event. Great for outdoor use as the iron is powder-coated.